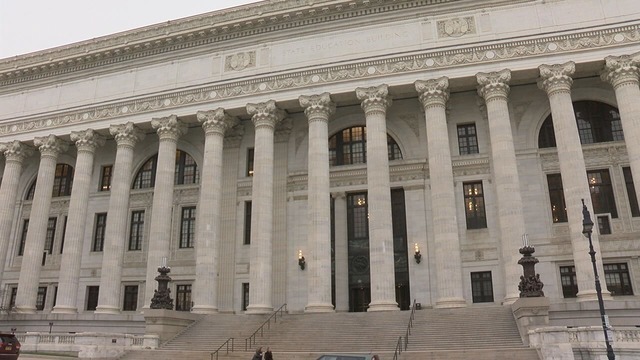 ALBANY, N.Y. (WTEN) - An audit of the New York Board of Education by the New York State Comptroller's Office listed 15 school districts it said haven't complied with legislation for safety planning in accordance with the SAVE Act. The SAVE Act requires the development and review of school safety plans by the New York State Department of Education to prevent events like the Parkland School Shooting. The Shenendehowa School District said it's surprised they were included in the audit. "As a district you can not get complacent and we here at Shenendehowa do not get complacent," said Director of Policy and Community Development Rebecca Carman. The comptroller's office said Shenendehowa showed no evidence of a 30-day comment period to discuss its safety plans. "I was a little taken off of the fact that school districts were actually physically listed on the document," Carman said. Shenendehowa has a SAVE committee that meets several times throughout the year. "The sheriff, the state police, the fire department -- we have representatives across the district and in our community that are a part of this committee and what we're doing here," Carman said. The Department of Education said in a statement, "[...]we always look to improve our practices and to help schools create safer spaces for students." The department has 90 days to respond with what steps have been taken to implement recommendations. Here's a link to the full audit.